When starting ChicFamilyTravels.com, it was always my goal to inspire people to visit luxury resorts that give the traveling family a true sense of the town they are visiting. It dawned on me that right underneath my nose is a true gem in the South. 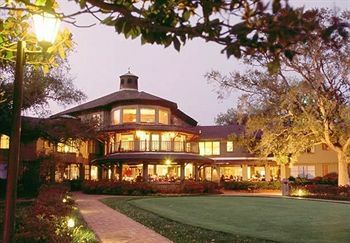 The Grand Hotel in Fairhope is located in an actual neighborhood where “real southerners” live. In fact, our country club is the Grand Hotel or as we affectionally and simply call it…. “The Hotel.” Fairhopeans share our southern country club with the Hotel guests who can experience what we live day to day in the South. 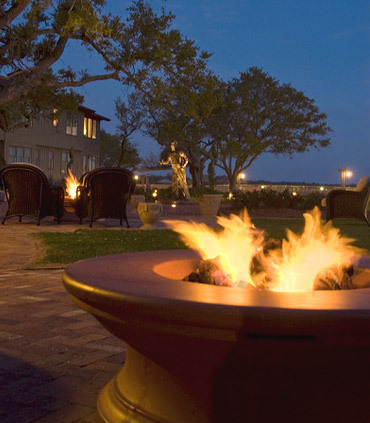 The Grand Hotel is located on the Mobile Bay and offers many luxury amenities for its guests. The waterfront pool is a masterpiece in and of itself. 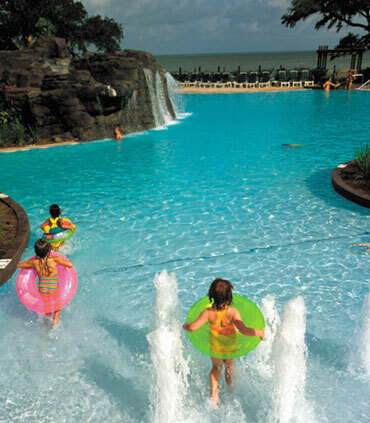 It boasts a waterslide, zero entry pool area for babies and toddlers as well as a rock waterfall. 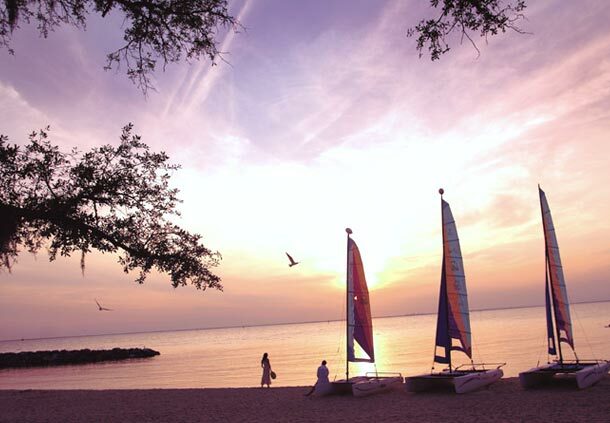 The bay is another great place to relax, enjoy a free sailing lesson or bike ride along the bayfront path that takes you along the neighboring bayfront mansions to admire. 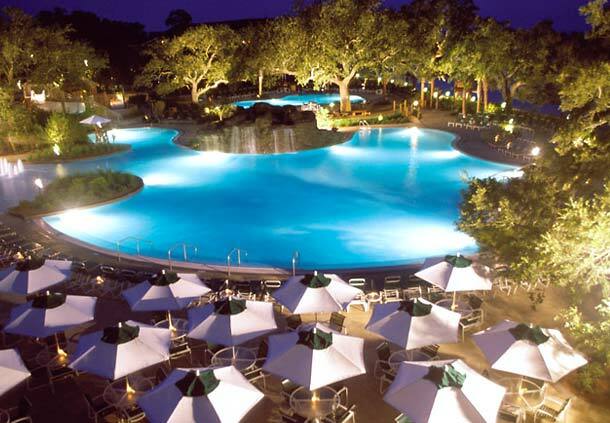 Additionally, the Grand Hotel has a Robert Trent Jones 18 hole golf course as well a 20,000 square foot European Spa. I can personally attest to the fabulous spa. My only Christmas gift request this year was a 90 minute massage gift certificate to the Grand Hotel Spa! Not to be missed is the traditional afternoon civil war reinactment ceremony followed by afternoon cookies and tea. The kids especially love to follow the marching band around the pool before they set off the cannon. We live here and the kids still love it! It never gets old so that says alot. Right after the civil war ceremony, the Grand Hotel offers tea and cookies in the main lobby. While the kids are having their treat, it will surely be your time to enjoy a cocktail and appetizer at Bucky’s bayfront lounge. The kids will love the putting green in front of the lounge and the parents will really appreciate that the kids are entertained! The locals all agree that tea and cookie time is family favorite activity that often lingers past its intended duration due to the fun the kids have at Bucky’s while the parents are relaxing too! If you really want to hang out with the Southern Locals, then take a free 2 minute shuttle ride over to the Colony. 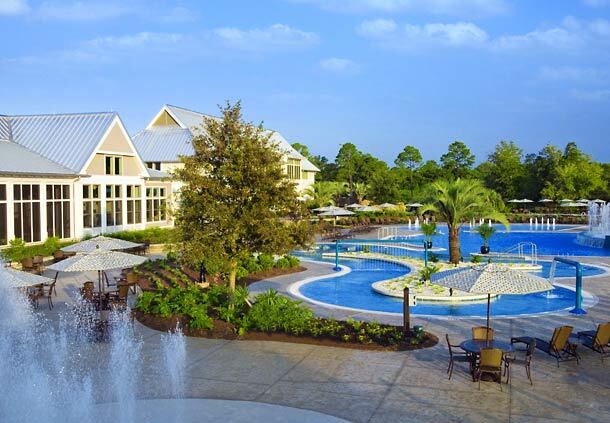 The Colony is a part of the Grand Hotel and is where most of the Fairhopeans spend a lot of their free time playing tennis, dining, or ejoying the newly built pool and lake area. I recently noted that the Grand Hotel was awarded one of the top 50 tennis resorts by Tennis Magazine and I would have to agree. 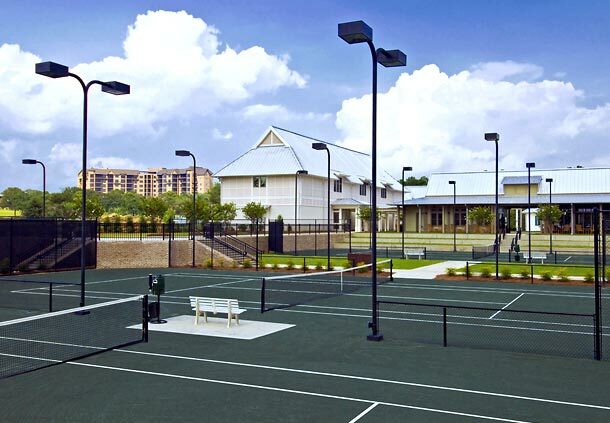 The clay court tennis courts are flanked by an amazing viewing area complete with an outdoor fireplace, flat screen tv and of course some good old fashioned rocking chairs. Honestly, now that I sit and think about it there has not been a single resort that I have visited that has the local charm and amenities that the Grand Hotel offers. Now, that is a bold statement! Maybe I will take it back as I travel more throughout my life 🙂 Nonetheless, I am sure that you will simply fall in love with the Grand Hotel and Fairhope. Fairhope is just a place that has to be experienced, so I will leave it at that. I will say that I can make your experience even better by offering some recommendations so contact me if you are visiting the area. ChicFamilyTravels is spending next weekend at the Hotel for Mardi Gras and will post an update with some pictures. There were predictably be a mint julep in our future! Cheers to southern oak trees, the mobile bay and southern hospitality! Yall come stay on the mobile bay at the Grand Hotel! You never know….you may even see a jubilee 🙂 If you don’t know what a jubilee is then google it. It’s a sight to see and an experience like none other on the Mobile Bay. If you liked this post and found our information useful, please contact ChicFamilyTravels.com to book your next stay at the Grand Hotel. We will also be able to provide a fabulous itinerary for enjoying all Fairhope Alabama has to offer.